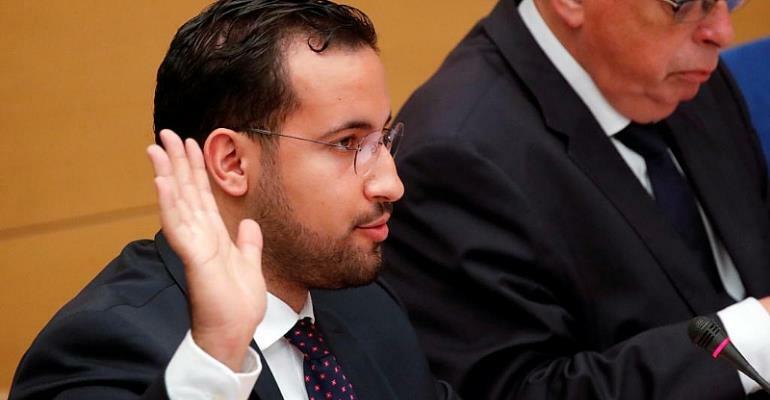 The French Senate have referred three of President Emmanuel Macron's top aides to prosecutors for withholding information from an investigation into Macron's former bodyguard, Alexandre Benalla. The government said the Senate was overstepping its powers, calling the move a "political coup". The opposition-controlled Senate has been investigating Benalla, who was fired as Macron's security aide last year after a video emerged from last year's May Day demonstration showing him beating up protesters while wearing a police helmet and civilian clothes. Benalla was sacked only after Le Monde newspaper broke the story, raising concerns that the president was protecting him. Last month, a Senate investigative commission said top Elysee officials had withheld information from them during their six month investigation and recommended the case be referred to prosecutors. And on Thursday the Senate agreed that prosecutors should investigate Macron's presidential secretary and to aide, Alexis Kohler; his chief of staff Patrick Strzoda; and security chief Lionel Lavergne. Drawing on its commission's findings, the Senate executive said Strzoda was suspected of possible perjury, while Kohler and Lavergne were suspected of not disclosing the full truth about the affair. The commission said it had found "major flaws" in the government's handling of the case, which it said affected both the president's security and "national interests". The presidency had dismissed the Senate commission's findings as "filled with untruths". On Thursday Prime Minister Edouard Philippe refused to attend a question-and-answer session before the Senate. And government spokesperson Benjamin Griveaux said the Senate's decision to refer the aides to prosecutors is “neither reasonable nor measured, this is a political coup." Francois Patriat, who heads Macron's Republic on the Move lawmakers in the Senate, accused Socialists and conservatives of ganging up "to take their revenge for an electoral defeat they never accepted".